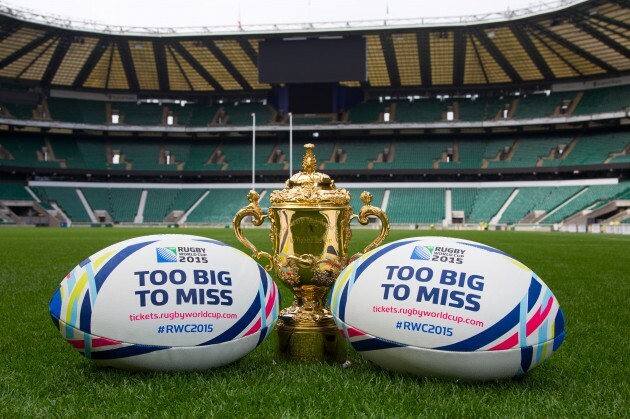 The Red Radish summer season just got three weeks longer when we heard the news that we have been confirmed as backstage crew and artist caterers for the 2015 Rugby World Cup opening ceremony at Twickenham. We begin setting up our kitchen, and feeding the hardworking production crew in early September and really get busy with some big numbers and super talented people once the rehearsals and lavish ceremony takes place three weeks later. It will be our first time working with the fantastic Unspun Creative, the agency, which delivered all four Olympic and Paralympic Ceremonies during London 2012 and we can’t wait to show them just how great we are! The spectacular Opening Ceremony and pre-match extravaganza will be a showpiece curtain raiser before the competition kicks off properly on Friday 18 September as England take on Fiji. We would not want to say anymore than that but trust us when we say there are sure to be some great surprises in store and we are more than a little delighted to be involved. And, sorry but before you ask, NO we cant tell anyone what surprises they have planned and sadly, NO we definitely don’t have any tickets! Red Radish recently supplied the catering and bartenders at a string of A-list parties taking place over two weeks during the Cannes Film Festival. The events were part of a brand activation campaign for Johnnie Walker and Sons Blue Label Whiskey and this is what their company brand ambassador had to say about our planning and implementation. 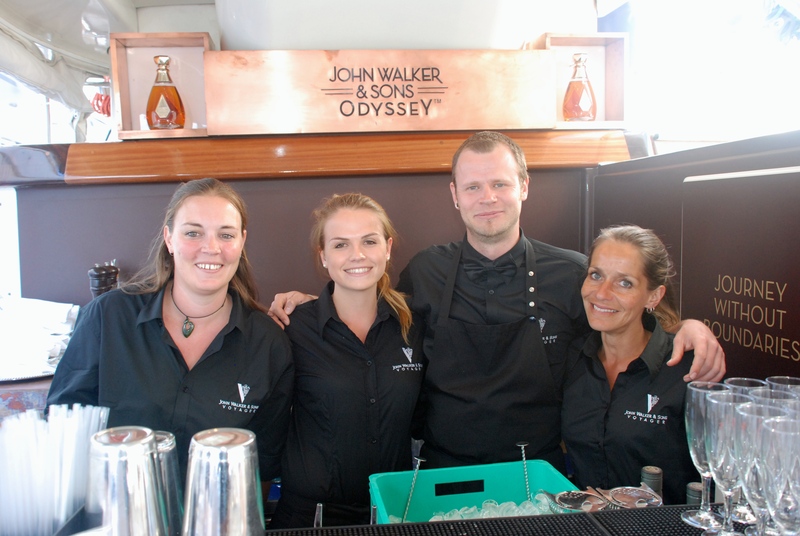 “Thanks to all at Red Radish for their fantastic support on board John Walker & Sons Voyager, during our stay at Cannes Film Festival. We had a constantly changing brief, tight restrictions on space and high expectations! The Red Radish team were quick to establish a close and honest line of communication; they re-established the boundaries of flexibility and delivered beautifully presented, exceptionally tasty food and drink. A Cannes Lions Festival Party in the Pool! I just wanted to say a massive thank you for catering for our party during Lions Festival in Cannes. It was a HUGE success. Your team were so lovely, the food was amazing – we got tonnes of compliments and most importantly we didn’t lose our villa rental deposit for the first year ever… haha! Finger Music Party Cannes 2013 from Finger Music on Vimeo. Have a great summer… I imagine you’re heading to the Cote d’Azur but if you happen to find yourselves in Ibiza in August then I’ll shout you a vodka limon! The next few weeks get very busy for most Cannes based catering companies as first MIPIM and then MIPTV hit the South of France. MIPIM, which the organisers bill as the leading international real estate fair, used to be known for its excessive throwing of parties and cocktail receptions, and the drinking of copious amounts of champagne has quietened down a lot since the world property crash, although there are always still enough events to keep many a chef busy preparing everything from gala dinners through to canapé and bowl food receptions. We also often get involved in helping clients find large villas or yachts when they are in Cannes for their corporate events. 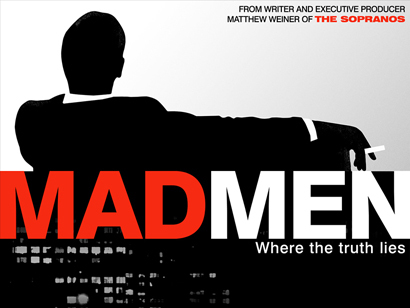 MIPTV kicks off at Cannes Palais des festivals (home to the world famous Film Festival) in early April and is one of two Cannes bases events (MIPCOM being the other) where media luvvies from all over the world gather to sell TV and online content. Being Cannes based and English speaking ensures that Red Radish gets plenty of enquiries and bookings for all the Cannes festivals and we have lots of catered dinner menus and canapé and bowl food lists dotted around our website. For a free and competitive quotation call or email Red Radish today! Our chefs are busy preparing to cater for the MADNESS of the 2013 MIDEM festival in Cannes. The first events and parties start at the end of January and there are some great acts lined up and heading to the French Riviera. Artists at this B2B event include not only the Legendary London SKA band Madness but also lots of great up and coming talent too. We have got a couple of nice catered Champagne and canapés receptions planned and also an upscale party on a luxury yacht where we will be supplying everything from the dinner, to the DJ , the vino to the venue and of course the delivery and serving of just about the best Canapés in Cannes. Call us now on +33 686 795 684 or send an email and we will get straight back to you. When Advertising companies go to lunch they REALLY go to lunch and the party chosen by London based Stink was certainly no exception as they gathered with their senior partners and very best clients on the lawn of the most exquisite Cannes rental villa. They were in town for the Cannes Lions Advertising Festival and when it came to choosing a caterer for their event they looked no further than Red Radish. As well as great food in the shape of a true Italian feast. This is the finished menu our great designer Lynne Spaight quickly put together as just one more little touch to this already creative extravaganza. Inspiring Creativity is at the heart of both Cannes Lions Festival and the chefs at Cannes based catering company Red Radish. The Lions advertising Festival caters for professionals who love to debate, learn and be inspired; it is where the greatest industry honours are handed out; where those pushing creative communications forward are celebrated and hopefully crowned champion. We like to think of ourselves as creative chefs putting together inspirational and imaginative parties which is why we love it when the creatives hit town. 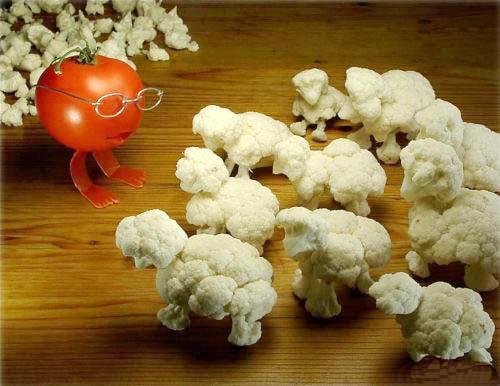 Cannes Lions is the favourite festival of Red Radish, but just please don’t tell the film folk we said so! 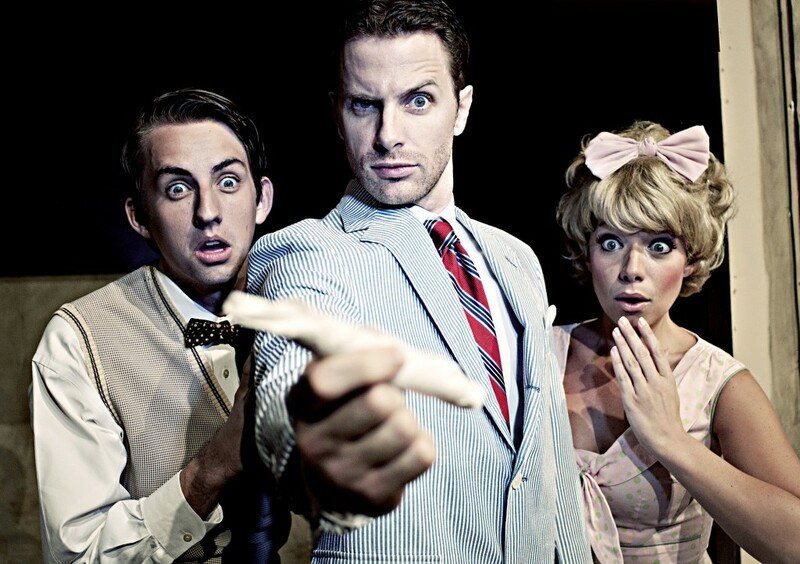 This year’s Lions Festival dates are 17 – 23 June 2012 and just like Red Radish it will be based around Cannes and the world famous Palais des Festival. Italian Catering on the Côte d’Azur. Delizioso!! We just wanted to share this delicious Italian taster menu that Red Radish have been asked to put together for a London based Advertising Agency catered lunch at the 2012 Cannes Lion Festival starting on June 17th. Chef Lucy has been busy planning and will be cooking this great food for Agency staff and their 20 lucky guests up at a rented castle in Cannes. It promises to be one of the best lunch parties at this year’s #lionsfestival and just one of the many special catering events Red Radish have been involved with organising at the Palais des Festival in Cannes. Buon appetito! The #1 local Cannes based Catering Company. This a quick list of tasty Canapés we will be delivering into Cannes on a daily basis during the 2012 Film Festival. As an established Cannes based catering company we can of course supply waiters’ waitresses or hostesses but these canapés are also designed for easy delivery and service by your own crew or staff. We also have various buffet catering options if you are looking for something a little more substantial for your Cannes party, film launch, event or reception and you can see by our testimonials that Red Radish never fails to deliver on quality, service or price. We usually recommend a minimum of four or five canapés per person per hour but obviously this depends on a multitude of things including the size of the nibble and the hour at which your party begins. We always try to offer a good variation and combination of tastes and would suggest a minimum of five different canapés for the event we will be catering. Prices start at around €1 per canapé depending on quantity. As well as great food we can also supply and deliver the rental and hire of wine, water and Champagne glasses, plates and cutlery, napkins, table cloths, and larger items such as tables and chairs. Needless to say that we can also deliver the wine and Champagne to fill up the glasses too! Red Radish hope you have a great festival and we look forward to seeing you at the Cannes Film Festival!